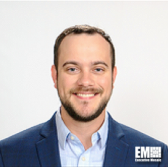 Matthew McFadden, cyber director for General Dynamics’ information technology business, has said federal agencies should continuously innovate as part of efforts to protect information systems. He wrote in a blog entry posted Tuesday that government IT leaders should partner with companies and adopt new technology such as artificial intelligence, machine learning, security orchestration, automation and blockchain to manage their agencies’ cybersecurity posture. “The cyber domain is an exploitative struggle in which innovation and change are fundamental and where the failure to innovate threatens America’s prosperity and our way of life,” McFadden noted. He noted that the National Cyber Strategy released last month highlights the importance of protecting federal data and deterring data manipulation for intelligence purposes. McFadden urged the administration to help the IT, energy and power, transportation, healthcare, communications and financial services industries secure private-sector networks and systems.